I'm evaluating dotCover 10. I have a Silverlight 5 application that uses Microsoft Pattern and Practice's PRISM framework to pull in modules at runtime (all hosted in the same .NET AppDomain). When I run memory profiling, my main application's classes are included in the snapshots' full class lists. However, none of my PRISM modules classes show up... ever. The runtime-loaded modules are certainly executing within the application, so I know they're there. I've looked in the list grouped by namespace, by assembly and just plain list. dotMemory won't be of any use to me if I'm unable to diagnose memory leaks occuring within these modules. 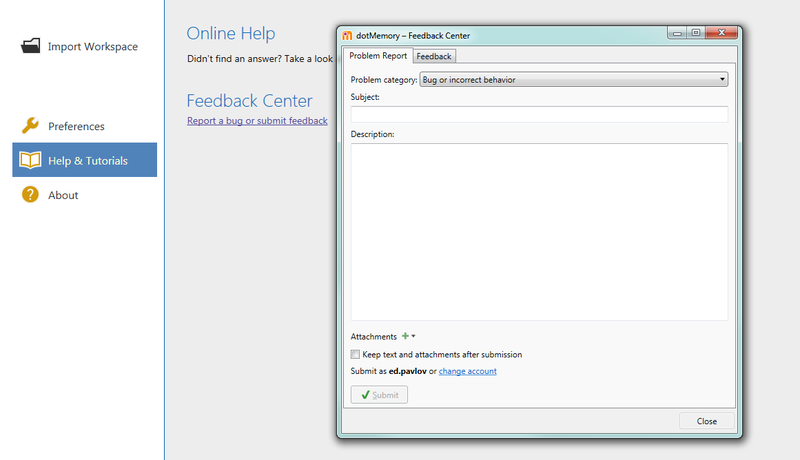 Close standalone dotMemory and Visual Studio with integrated dotMemory. Go to your Temp folder (you can find its location by executing 'cd %Temp%' in command line). Find 'JetLogs' folder and delete it. 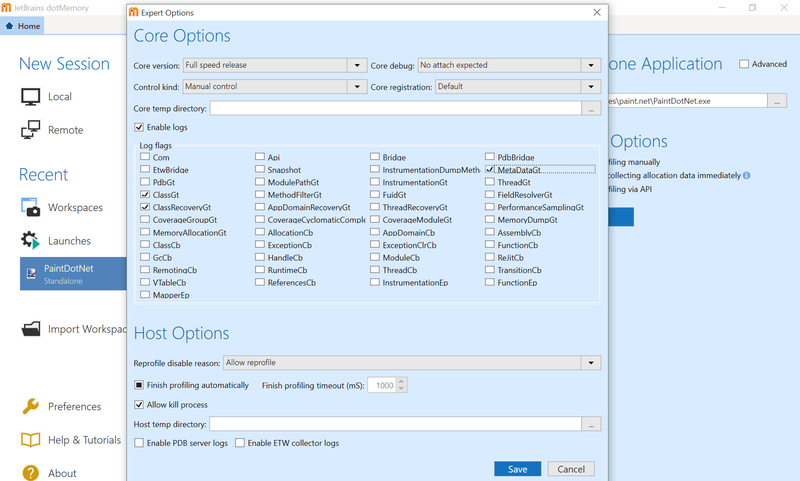 Launch dotMemory, prepare for profiling; and when configuration (right) panel is in the focus, press Ctrl + Shift + Alt + F11. Check 'Enable logs' checkbox (only this checkbox). Click OK and run profiling. Perform actions that lead to issue. Logs are now located in 'JetLogs' folder. Yes, I can try that tomorrow. How should I submit the logs? Will they contain any of my company's information / references to code? If so, I need to submit them privately. 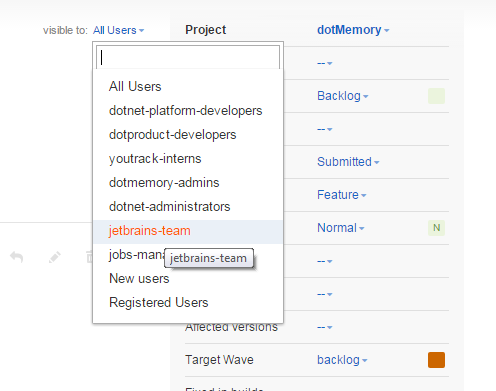 If you have an accout in our bug tracker system, you can create an issue attach zipped logs to it and set "visible to:" field to "jetbrains-team"
Ed, I'd love to, but it will have to wait. I had to uninstall R#10, and along with it, dotMemory10, and go back to R#9.2 because I couldn't debug unit tests. Does dotMemory 4.4 have the problem described by you? If no, please tell us. Ed, I don't know. I was only evaluating dotMemory 10 as part of the R#10 Ultimate bundle, as a possible replacement for ANTS Memory Profiler. I don't have al icenses for dotMemory 4.x I could download it and do a 30 day trial. When I get back to debugging the issue I was investigating (I've been pulled onto a higher priority task), I will try that.